Holiday shopping and holiday parties leave us little time to cook this season. As we wandered the waterlogged Ferry Plaza market this weekend, we passed by the stalls of produce, knowing any veggies we bought would go bad before we prepared them. We're sure many of you face the same dilemma this week, unless of course you're cooking for a holiday party. But then we saw the Hog Island Oysters stall. 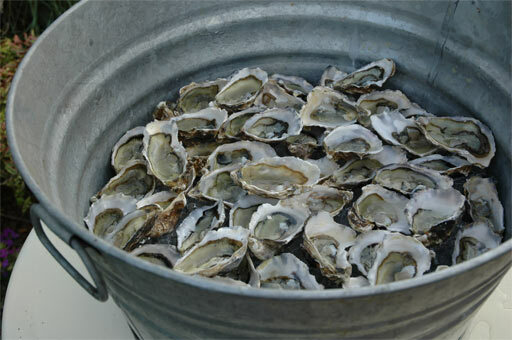 Wouldn't it be civilized, we thought, to make a lunch of oysters on the half-shell? It would be our reward for dealing with holiday madness. Plus, we'd argue that luxurious treats wrapped in sealed boxes are the perfect symbol of the season.